In 2018, Siena Resident REALTOR® Kyle Pfaffe hosted Texas Protax for a “How to Appeal Your Property Taxes” Workshop in which Texas Protax led an informal discussion about the property tax appeal system, gave tips on what to do or not to do if you appeal your taxes on your own and answered many audience questions. In case you missed the event last year or have new questions, the event was video recorded for you to go back and watch. Click here to watch the video from the Siena Today Facebook page and let me know if you have any questions. If you would like a copy of the information packet that was handed out at the event, fill out the form below and I’ll send it to you. 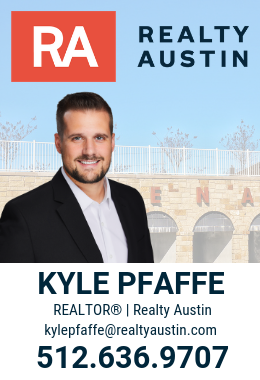 If you have any other questions about your property tax appraisal or protest, please email me at Kylepfaffe@realtyaustin.com or call/text me at 512-636-9707. If you have a question about Homestead Exemptions, you can read this post and watch the video. ← NEW LISTING in Siena! 8246 Angelo Loop!